When it comes to your big wedding day, there’s nothing more important than stellar photos. These 7 tips can help you achieve natural wedding photography- which might just make all the difference in keeping your memories alive forever. Once the dust settles, the cake has been eaten, and the laughter is spent, your wedding pictures are the best way to preserve those moments forever. Those beautiful shots of you and your wedding party are essential, but the last thing you want is a posed photo shoot that looks awkward and forced. Getting the best photography for your wedding day is all about capturing the natural connection between the bride and groom. Unless you’re a professional model, the idea of taking thousands of photos and being in front of the camera for hours might seem like a lot of pressure. How can you guarantee natural, beautiful shots that you’ll want to keep in your wedding album for years to come? It’s been a long time since the formal studio wedding portraits of the ’80s. Now, there’s more of a focus on capturing the beauty and emotion of the moment instead of staged photos. If you’re getting ready for your big shoot and want some insider tips on how to get gorgeous, natural photos, here are a few tips to help you keep it real. If you’re comfortable and relaxed with your photographer, it’ll come through in the photos. Be sure to pick the right photographer for you, and try to set up an initial consultation so you can get to know each other. Even if you just meet for an hour in a restaurant or coffee shop, it’s important that you get a sense of who your photographer is and if they’ll work best for you and your wedding shoot. It’s important that you find someone who works with your style and can make you feel at ease on the big day. It’s also a good idea to book an engagement session. Not only does this get you some great shots for invitation cards and memos–but you’ll have a chance to try out the photographer and get used to having your photo taken. The best way to get natural wedding photos is to get some shots looking away from the camera. It’s always good to take a few posed pictures looking at the camera, but looking away from the camera means you’ll get photos that are much more casual and real. You’ll look less stiff and more in the moment. Instead of getting artificial smiles, you and your wedding guests will look natural and happy. Sometimes, pretending the camera isn’t even there will help you be even more camera-ready. Smiling in pictures isn’t easy, especially when you’ve been busy with wedding activities all day. After the hundredth picture, it can start to feel like you’re forcing a smile or it’s not really reaching your eyes. If you feel your smile starting to get stuck, take a quick break. Go for a walk, have some time with your spouse. Stepping away can give your face some time to rest and let your photographer capture some authentic, intimate moments. 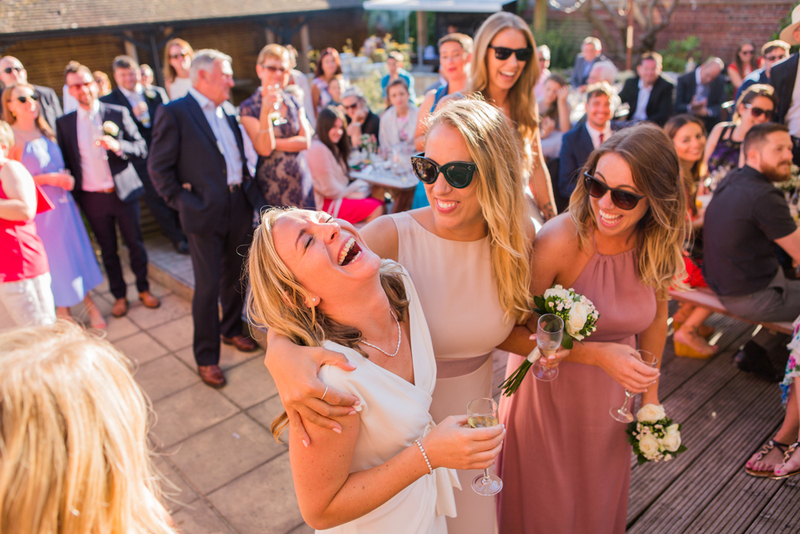 There are also lots of moments where you can smile naturally, such as laughing with friends, hugging relatives, sampling the wedding cake, or having fun on the dance floor. Photography is all about light and the lighting conditions can make or break a photo. Whether you’re in the natural or artificial light, it’s important to take advantage of a wide range of light conditions to make the album more natural. Talk through some expectations with your photographer. Where is the wedding taking place? What sort of locations are you looking for? Do you prefer natural lighting outdoors or muted lighting inside the venue? In the shoot itself, keep in mind which way you position yourself for each photo. Facing towards the light will help make your photos look more natural and romantic. Not only will your photographer thank you for making their job just a little bit easier–but you’ll love the results. If you’re looking for natural wedding photos, the best way to capture the intimacy and power of a moment is to shoot the bride and groom touching. Don’t be afraid to get close to each other, whether it’s your partner or other guests at the wedding. You can never go wrong with a little physical affection. Weddings are all about love and group bonding, so make sure your album reflects that. Whenever you start feeling a little stiff or awkward in front of the camera, try moving around a little bit. Incorporating a little movement will help mix things up. This can be anything from reaching towards someone else in the crowd, twirling around, or walking away from the camera. If you take the time to enjoy a moment of fun, your photographer will take the snapshot at the exact right moment for a great, natural wedding photo. This might sound easier said than done but it’s important to let your body relax. Staying loose in front of the camera is the best way to help you look and feel natural. If you’re tense–it’ll show in every photo. 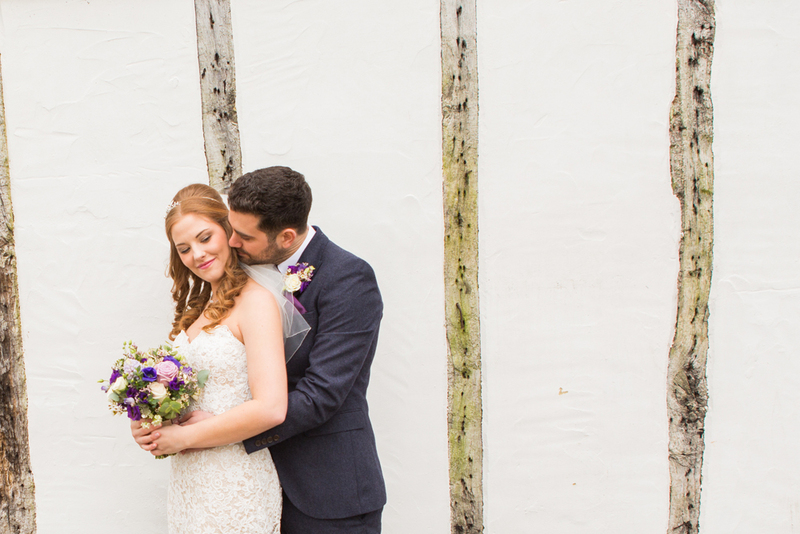 If you’re nervous about the shoot, it never hurts to talk to your photographer ahead of time. They can help give you some directions to help you look and feel more relaxed. 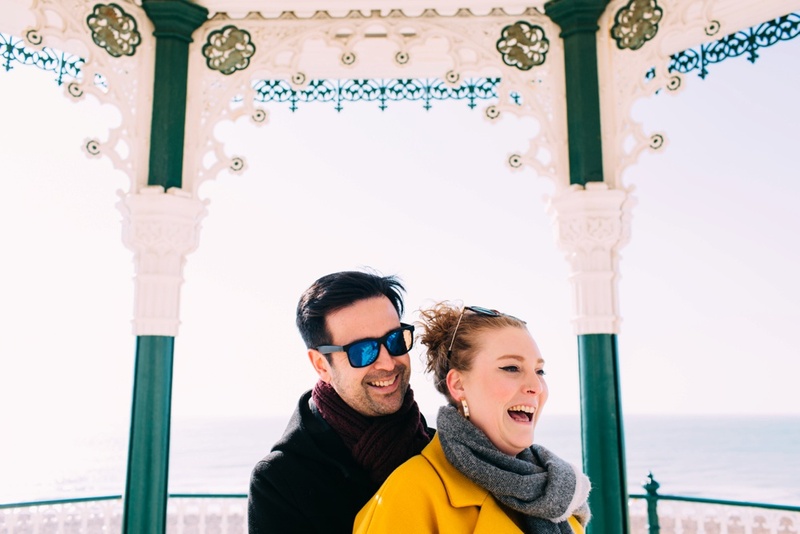 Another great way to practice is with a pre-wedding engagement shoot. Being prepared and knowing what to expect will help you create better and more natural wedding photography. But don’t stress too much about getting the perfect shots. Your photographer will be able to guide you into the perfect positions with the best lighting. All you have to do is relax, be in the moment, and enjoy your natural wedding photos. Looking for to capture your special day with a natural wedding photographer? Contact me to discuss how we can work together to keep those memories alive so you can look back on your wedding years down the line.